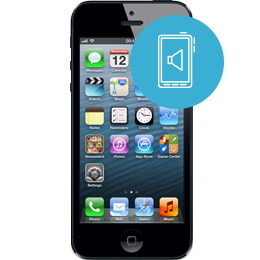 The iphone 5 loud speaker replacement repair service will fix issues with your phone not working on speaker. If you are having issues with not hearing your ringer, talking on speaker or your speaker sounds distorted when listening at high volume. This iphone 5 loud speaker repair will solve your problems. All our cell phone repair services include a 90 day warranty on parts and labor. RockIT Repairs will fix and ship your device back out within 24 hours of receiving.